There’s nothing quite so refreshing as fresh ripe fruit on a hot summer day. It awakens your taste buds and even satisfies your hunger with a convenient snack that is light and nutritious. Juicy and heady with flavor, the following three fruits are ideal for summer snacking when you want to enjoy something loaded with great taste! Native to China and South Asia, the delicious peach is an unfailing treat on a warm summer day. In terms of Chinese medicine, peaches have been associated with longevity for centuries. While many people eat them because they taste great, they are quite high in nutrition and are associated with various health benefits. Rich in beta-carotene, peaches also contain lycopene and lutein; these substances have been said to reduce the risk for macular degeneration, some cancers, and even heart disease. Not only are peaches high in fiber, they are also loaded with vitamin C.
Though peaches are delectable on their own, they can be grilled or even strewed with other ingredients for a great tasting meal. 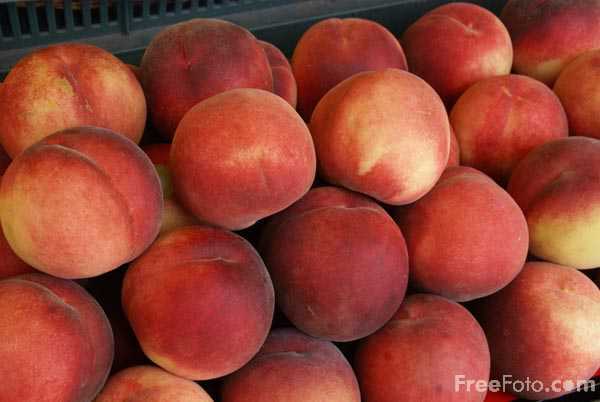 Many people add peaches to deserts like pies or ice cream. Peach-infused water or tea is also a refreshing way to enjoy the flavor of peach. The great thing about peaches is that you’ll enjoy their rich flavor without the calories of a sugary snack! While this fruit originated in South Asia, you’ll taste the Caribbean or South America where they are also popular in each luscious bite! 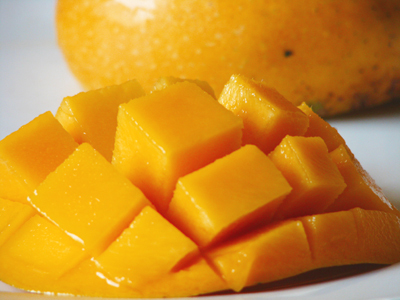 Mangoes are among the world’s most popular fruits. Tropically delicious, mangoes have long been associated with digestive enhancing properties. Mangoes are loaded with fiber and fiber-rich fruits are associated with decreased risks for some cancers and are even known to help reduce harmful cholesterol levels in the body. Mangoes are also rich in vitamin C, vitamin A, potassium, and beta-carotene. A perfect accompaniment to a light breakfast or a delicious afternoon snack all their own, mangoes are flavorful summer fruits that are pleasing to many tastes. For a deliciously cool treat, freeze your mango for an hour. When you take it out of the freezer and it begins to warm, you’ll have a tasty mango-sherbet that will satisfy any ice cream craving—but without the fat! Strawberries are the heart of any picnic and one of the tastiest summer fruits you can choose to satisfy your taste for something juicy and flavorful. Regarded as one of the healthiest foods, strawberries are jam-packed with nutrients and healthful benefits. An excellent source of folate and potassium, strawberries are rich in vitamin C and contain powerful antioxidants. When you need a quick energy boost, strawberries are a tasty alternative to calorie-packed sports drinks. While delicious on their own, many people use strawberries to flavor sparkling water. They are delicious atop deserts—even calorie-friendly angel food cake! Their only downside is that they have a short shelf life when you bring them home from the grocery store so be sure to eat them quickly! Each of these fruits is a delicious summer snack that will leave you feeling refreshed. Keep them on hand all summer long to enjoy their tastes and associated benefits! Joseph Mitchell is a nutritionist. He frequently writes about how to stay healthy with the right foods. Click on the florist Glasgow link for more ideas.